Фотобанк РОСФОТО - микросток. 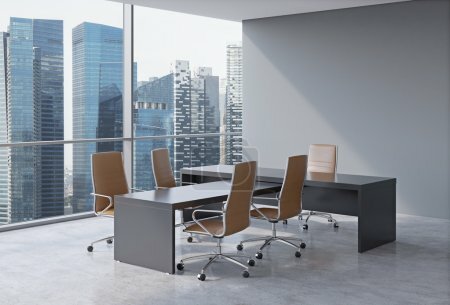 Лицензионные Фото, Видео, Музыка - Modern office interior with huge windows and skyscraper panoramic view. Brown leather on the chairs and a black table. A concept of CEO workplace. 3D rendering. Modern office interior with huge windows and skyscraper panoramic view. Brown leather on the chairs and a black table. A concept of CEO workplace. 3D rendering. XL 5200 x 3527px 15 Mb.